With all of the movers out there, its good to know that you’ve been referred by a friend to a friend. While this list is not complete, we know and trust these companies for their work and the integrity of their management. Click on the website links or complete our quote request and we’ll forward your request. In Florida, John Kearney and his team at Kearney Moving and Storage provide honest and quality services, we Trust in John, give him a call. Sarasota, Tampa, St Pete, Bradenton, etc. In Houston, Texas, we can recommend without reservation, Johnnie T. Melia Moving and Storage, Brandon Melia will provide you with quality service at a fair price. In Northern New Jersey, we recommend Fast Moving Company of Hackettstown. Julio Morales and his wife Marie have served the community for 30 years. Based out of there state of the art warehouse in Hackettstown, they have a history of quality service and integrity. Julio is my best friend in the industry, and for years serviced my best clients for long distance moves with perfection. Fast Moving has “moved on” to become a Bekins Van Line agent, but the quality of Julio’s work remains the same. Although the website is still being updated, call Julio or Marie. In Ohio, we wholeheartedly recommend American Way Van & Storage. Bobby Vann and his wife Diana run a real family business. You may notice that on our list of drivers we trust, some of the most respected drivers in the industry haul for AWVS. Quality is contagious! 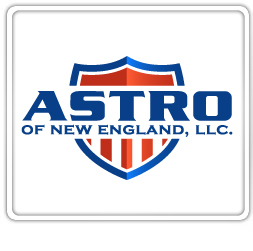 In New England and EXTREME Eastern Connecticut, for quality service, there is no comparison to Astro of New England. Based in Exeter, Rhode Island, Chuck Lamendola has built a successful moving company by focusing on Quality. In fact, if I have to hear Chuck say “Quality, Quality, Quality” one more time……. In Georgia, we recommend Cicero’s Moving and Storage. Bruce Riggins and his wife Lisa, are proud of there history of service. There is a good chance you’ll get Bruce on the truck, but never fear his drivers are some of the best! In North Carolina, yes they service Charlotte, we recommend Unity Moving and Storage. Bob Nunes runs an ethical shop focusing on quality and customer service. And, you might get him as your driver!